In case you missed it, the Albuquerque Journal’s ace tech reporter Kevin Robinson-Avila wrote an exceptional article on the the Santa Fe Business Incubator’s new Fab Lab Hub and its creator Sarah Boisvert. The article includes laudatory comments from Board member Marie Longserre, who started the highly successful SFBI 20 years age— https://www.abqjournal.com/1122435/sf-business-incubator-startup-partner-open-digital-fab-lab.html?utm_source=newsletter. The incubator’s new Archimedes Fab Lab offers a full suite of digital, advanced manufacturing tools that incubator companies can now use for rapid product development. And, through a new partnership with Santa Fe startup Fab Lab Hub LLC, technicians and operators can get the hands-on training they need to transition from traditional blue-collar jobs to today’s new-collar work in modern factories. Sarah, who graduated from college at the tender age of 14, helped SFBI secure formal affiliate status with the international Fab Lab Network that’s connected to the Massachusetts Institute of Technology, where she worked for 16 years. The network now includes more than 1,000 fab labs worldwide, modeled on MIT’s guidelines for the basic tools needed to make almost anything in a digital workplace. She is also working with Santa Fe Community College to open a second network-affiliated fab lab at the Trades and Advanced Technology Center in February. Sarah recently spent some quality time with board member Wayne Savage and others discussing future Fab Lab Hub possibilities for the Arrowhead Center in Las Cruces. Next up: Albuquerque. In between all he Fab Lab Hub activity, she’s been writing a book, which will be released shortly. Stay tuned for the time and place for the book signing event. The Clinical & Translational Science Center and the New Mexico Bioscience Authority will host a UNM HSC Clinical & Translational Science Center BioVenture Partnership Event on Wednesday, March 07, 2018 from 2:30 PM – 6:00 PM at the UNM SUB Ballroom. NMBio members that have paid their 2018 membership dues are invited to attend (yes, for free). This event, which is being organized by Board member Dr. Richard Larson, will promote networking of New Mexico companies (both start-up and established) in the “bio” arena, investors/angels, and UNM faculty/inventors. It will provide access for inventors to present to experts in commercialization and economic and business development, including a “Shark Tank” style pitch event. Don’t miss out on this opportunity to explore research and technology opportunities arising from the University of New Mexico Health Sciences Center. RSVP to Kathy Foster (katfoster@salud.unm.edu or 505-272-7655) by Wednesday, February 21. The BioVenture Partnership Event will be held in the SUB Ballroom. Please see the UNM Parking & Transportation website for visitor parking information. The afternoon’s agenda includes a poster presentation to showcase competing organization’s highlights. Please contact Kathy Foster for design requirements if you would like to be included. Be sure to bring your business cards to take advantage networking opportunities throughout the event. Starting with this month’s issue, we’ll profile a new member or an existing member that’s making a significant impact in its field of endeavor. This month’s selection is Los Alamos-based Innate Immunity. Also, our preferred provider of the month is the Delmarva Group; we’re highlighting its CIO program. David Lee, General Manager and Site Head for AMRI Global’s Albuquerque’s operations, will give an overview on AMRI’s extensive expansion plans in Albuquerque as well as an update on its existing facility and its current workforce of 300-plus employees. The contract research and manufacturing firm expects to hire between 100 and 150 employees for its new facility (a former SAM’s warehouse in NE, Albuquerque), which is expected to begin operations in March. 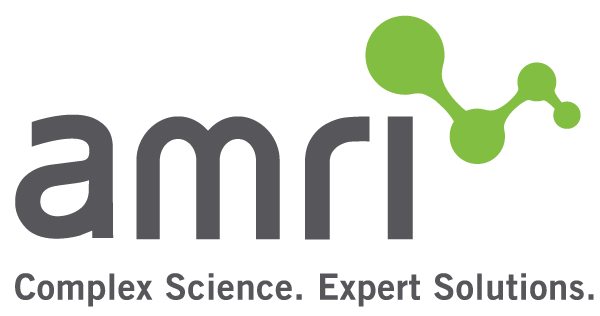 AMRI partners with the pharmaceutical and biotech industries to improve patient outcomes & quality of life through solutions in discovery, development & manufacturing. AMRI purchased the former Oso Biopharmaceuticals Manufacturing, LLC (“OsoBio”) in NE Albuquerque for $110 million in cash in 2014. OsoBio has long been recognized as a premier contract manufacturer of highly complex injectable drug products, including sterile liquid, suspension and lyophilized formulations. The fee for NMBio members is $15 and $25 for non-members. The fee for members of the New Mexico Technology Council is $15. Registration and networking begins at 2:30 pm; the program starts at 3 pm. Refreshments will be provided. The association’s members elected two new members to its board and returned six incumbents for two-year terms. Returning incumbents include Stuart Rose, Founder – The BioScience Center and Fat Pipe and many other ventures; Janeen Vilven–Doggett, Partner, Peacock Law; Richard Larson, Executive Vice Chancellor, Vice Chancellor for Research, UNM-Health Sciences Center; Marie Longserre, President & CEO, Santa Fe Business Incubator; Jan Hickey, Chief, Clinical Manufacturing, VA Cooperative Studies Program, Clinical Research Pharmacy; Wayne Savage, Executive Director, Arrowhead Park, Las Cruces. The board will elect its executive officers later this month. David Lee is the General Manager and Site Head at AMRI Oso Biopharmaceuticals Manufacturing ifacility n Albuquerque. He manages all aspects of drug products at the CMO site and is responsible for a $35 million annual operating budget while generating more than $60 million in revenues. He supervises more than 300 employees and oversees the manufacturing of a wide range of parenteral products for a diverse customer base that includes large pharmaceutical companies and small start-ups. For 20 years, he worked for Amgen, Inc. in various high level positions focused on validation and quality control. We also want to thank departing board members Mark Burge and Shannon Sheehan for their many years of service to the association. Shannon served as president from 2007 through 2010. 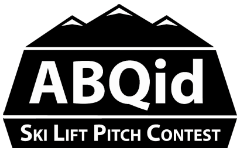 ABQid’s annual event that brings top-level investors and promising startups from all over the country to New Mexico is being held on February 22, 2018! Accommodations, meals, lift tickets to world-class Taos Ski Valley, and a shot at $10,000 in prize money awaits the selected competitors. Entrepreneurs pitch these investors one-on-one as they ride the ski lifts at over 9,300 feet. Festivities begin with dinners on the evening of February 21; one for the participants and another for the judges and sponsors. The main event begins the morning of February 22 and finishes by 5:00pm. To learn more about this popular event, visit skiliftpitch.com! Applicants must be science or technology companies affiliated with an approved program. Approved programs are identified on the application. Applications are due the second Friday of each month and will be reviewed by the Technology Research Collaborative. Applicants will be notified of the decision by the end of the month in which they applied. Up to $4,000 will be awarded each month. Individual awards will be capped at $2,000. Applicants must carefully price their needs and clearly explain the services the voucher will offset (e.g., rent). While the business is the applicant, the funding goes directly to the approved program. For more information contact your Regional Representative or Julia Wise at JuliaL.Wise@state.nm.us or 505-827-0222. You can also reach out to Julia for details on the New Mexican Small Business Innovation Research (SBIR) Matching Grant program. Small Business Innovation Research (SBIR) grants are competitive federal grants supporting small businesses engaged in research and development of high potential commercialize technologies. Annually, 12 federal agencies cumulatively award more than $2 billion dollars as SBIR grants. For more information on the federal SBIR program please go here. Since 2012, SBIR awards have supported nearly 10,000 New Mexican jobs and resulted in more than $90 million of investment in NM companies. 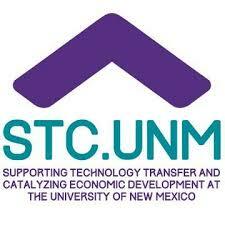 To capitalize on this investment New Mexico is piloting a SBIR Matching Grant. Despite the success of the program, SBIR awardee companies often fail to enter the commercial market due to federal limitations on how SBIR funds can be spent. SBIR grants only cover costs associated with performing the proposed research. These grants do not cover expenses related to business development. Ineligible costs include marketing and salaries for employees related to business operations. State SBIR-matching grants provide recipients additional resources to commercialize the technology developed with federal SBIR funding. Matching grants take advantage of the facts that 1) the technology being developed has been vetted by national experts; 2) there is a well-defined large market; and 3) a federal agency is providing proof-of-concept and R&D funding. State level matching grants are found to lead to follow-on funding, stimulate business growth and expansion, generate wealth, increase tax revenue and the commercial viability of the receiving firms. Some companies may need no more than seed funding. Others will go through several rounds. There is no right answer; how much funding you need depends on the kind of company you start. Silicon Valley’s Y Combinator’s goal is to get you through the first phase. This usually means: get you to the point where you’ve built something impressive enough to raise money on a larger scale. Then YC can introduce you to later stage investors—or occasionally even acquirers. Y Combinator runs two three-month funding cycles a year, one from January through March and one from June through August. Its asks the founders of each startup it funds to move to the Bay Area for the duration of their cycle, during which the staff works intensively with them to get the company into the best shape possible. Each cycle culminates in an event called Demo Day, at which the startups present to an audience that now includes most of the world’s top startup investors. If you want to apply, please submit your application online by March 24. Groups that submit early have a small advantage because YC’s staff will have more time to read their applications. About 10 years ago, according to Goutam Gupta, a former molecular biophysicist at Los Alamos National Laboratory, researchers in his lab came up with an idea about an emerging problem related to antibiotic drugs. The problem, which has been recognized as a global threat by the Centers for Disease Control and Prevention, is that antimicrobial agents have been so effective and so widely used that the infectious organisms they were designed to kill have developed immunities that increase their resistance. Out of increasingly focused efforts to respond to that problem, Gupta has now launched a biotechnology startup, Innate Immunity, LLC. The project has been facilitated by High Desert Discovery District (HD3), a startup accelerator linked to a national network of supporting advisors and investors. A decade ago Gupta and his colleagues were beginning to see antibiotic drugs designed to be used against viruses, bacteria and fungi that were failing and seemed doomed to become ineffective. Analyzing the situation, Gupta linked several relevant observations. First, the researchers were mindful that antibiotics are by nature exogenous to the human body, that is. they come from outside the body, so they have an inherently toxic relationship as a foreign element. And then, because the efficacy is not very high, they must be used at a relatively high dose, which increases the risk of toxicity. Even though our bodies are made to fight pathogens, Gupta concluded, for some reason our natural defenses are not working well enough to overcome the resistance.“We thought, if we can circumvent that, we will have a better solution,” he said. The body’s immune system is generally described as two stages of complementary components, innate immunity, which includes cells that are naturally available and generically protective against foreign antigens; and adaptive immunity, by means of which the body responds specifically to the identified threat with a specialized prescription of cells that can adapt to deliver the most effective response. The immune response has three steps, Gupta explained, first, to recognize the antigen, then to signal that recognition to the “effector function,” which is the body’s natural defensive reaction. The researchers hypothesized that they could combine two of the steps in one protein, and use what is called a chimera, as a way to parry the antigen’s resistance in order to kill the infectious invader. “The proof is in the pudding,” Gupta said, as he recalled the next phase of the immunity investigation that led to a valuable test bed in the vineyards of California and a patent for the work in solving a problem peculiar to grape growers in the U.S. and their counterparts around the world. Antibiotic resistance is not partial to humans or even animals and in fact, has also become a growing peril in the agricultural field. California’s wine and table grape industries have been wrestling with an infectious disease that was first noticed in the 1880s. Also called Pierce’s disease, it is now known to be caused by a bacterium, Xylella fastidious which is transmitted by the glassy-winged sharpshooter, an insect that was thought to be a harmless pest until the late 1990s when it was found to be a principal vector for the disease. Gupta said representatives of the California wine industry heard about the transgenic research underway at LANL, and came to the laboratory looking for a solution to a worrisome agricultural plague, which they were trying to keep under control with pesticides, inspections, and quarantines. There was no known cure. So, beginning with a greenhouse demonstration, Gupta’s team demonstrated the concept of stitching together a recognition molecule with an effector molecule that could cure the plant. It took three years to grow the plants and a few years later, they had evidence that their transgenic grapes could resist Pierce’s disease. Michelle Miller, founder and CEO of HD3, said the company’s development status is advancing. “We’re working on field trials with industry and in discussion with a major grower right now that is considering investment as well as becoming our pilot field partner in the Central Valley of California, where they grow the most of the grapes,” she said. The focus now is on the grape crop, but there are similar problems in other agricultural sectors. Perhaps most notably, the citrus research community in Florida has been in touch with Gupta’s project, concerning an even more serious problem: Citrus Huanglongbing, also known as Greening disease, which is threatening the orange, grapefruit, lemon and lime crop. Down the road, the startup company also sees promising opportunities to reduce disease and improve yields for growers of tobacco, cannabis and chili. Want a high dollar CIO without paying for one? That’s what DMVG consulting is all about. Many small businesses would benefit highly from a forward thinking, aggressive CIO, yet those guys are expensive. So why not share one? The Delmarva Group’s OnCall CIO service provides you with access to unbiased high level consulting services related to leveraging Information Technology to your competitive advantage. Led by Founder JT Koffenberger, OnCall CIO specializes in finding opportunities to save your firm money by examining your workflow processes as well as how your people work with their information and technology. DMVG also provides full IT services to compliment the OnCall CIO service including managed services, desktop support, hosting, website design and development and staffing. Please contact JT Koffenberger with any questions you may have. jt.koffenberger@delmarvagroup.com or visit delmarvagroup.com for more information.